Bank of Philippines Island (BPI) one of the Philippines’ most respected banking institutions select Avantrade Wealth Management Suite to provide online investment services in order to make mutual and trust funds transactions a lot more easier for their customers which they called “Investment 3.0”. “Investment 3.0” simplify all customer’s transactions like opening a new mutual fund account, seeing portfolio, subscribing and redeem their investments only by login to www.bpiassetmanagement.com. 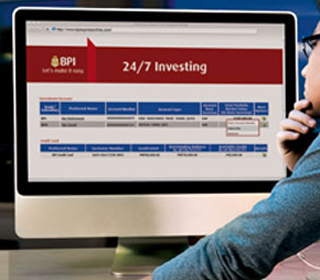 “Investment 3.0” enables customers to buy various unit trusts and BPI mutual funds securely. Avantrade Wealth Management Suite, one of the best wealth management platform which have effectively support financial institutions designed specially to meet the industry need. Avantrade features cover financial planning, private banking, insurance point of sales, portfolio management, order management, unit trust, trustee system, bancassurance and pension fund. This cooperation proves that Avantrade, a platform which build by Indonesian engineers in Jatis Group(member of Indivara Group) have the ability and quality to meet international demand. Jatis Group(member of Indivara Group) is one of the largest group of IT Consulting Companies in the South East Asia region.